Running is easier with a buddy – or ten. 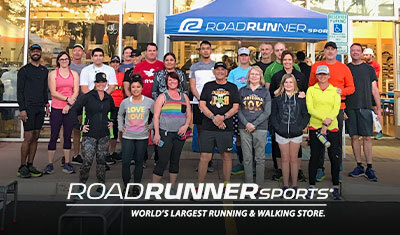 Join Road Runner Sports for weekly group runs along the river walk every Thursday night. After your run, stick around for social hour from 7-8pm and enter to win raffle prizes! *Check in begins at 5:30pm in front of the store. For additional information, please email jdanielson@roadrunnersports.com.